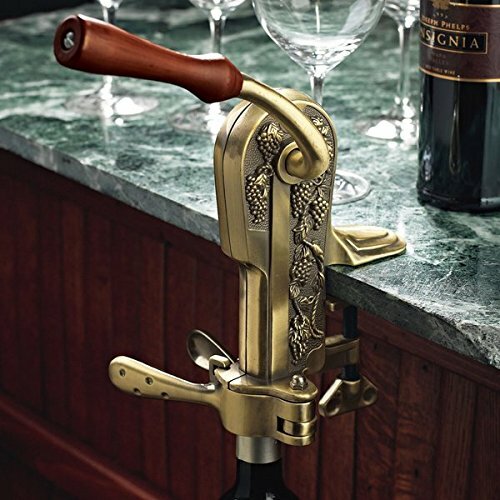 Enhancements to the regal replica of an antique corkscrew promise years of effort-free openings. A smooth-gliding, Teflon-coated worm removes corks (natural and synthetic) with a simple pull of the handle. Inner workings and grapevine-relief casing made of lasting zinc alloy.